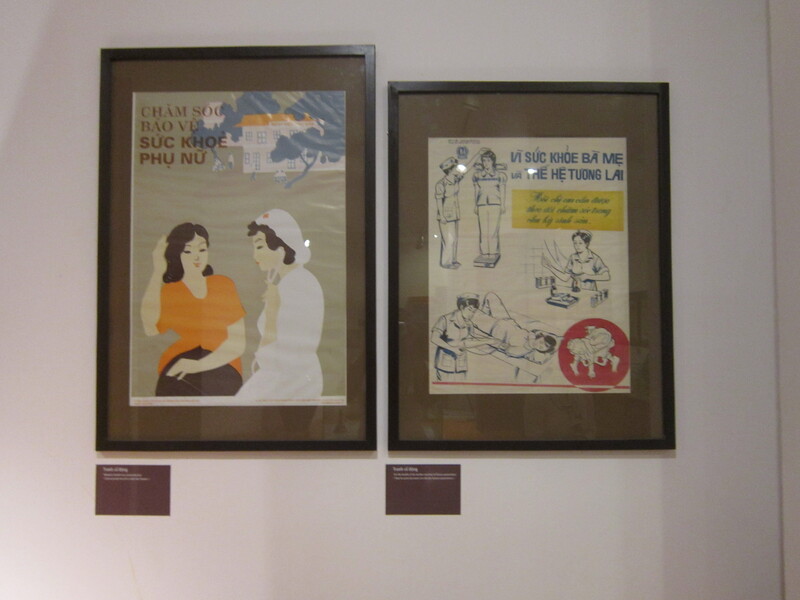 Back in April, I traveled to Hanoi with my very good friend Khanh. We were originally introduced over email by her boss who I met at a cafe in town while she still lived in Vietnam, started hanging out after she moved to LP, became friends, and lived together during my second year. She’s easily one of my most favorite people in the world and was a regular feature in my Thankful Thursday blog posts. She’s from Hanoi, so I thought if I were ever to visit, I should go with her. We planned a last hurrah trip of sorts for a few weeks before I left Laos to return to the States. While the trip didn’t end up going exactly as we had planned, it was memorable and fun and gave me a good taste (pun intended) of Vietnam. Pre-trip selfie at the airport. 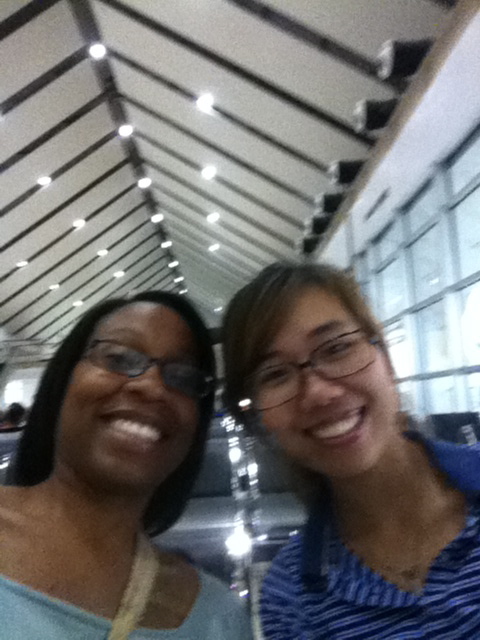 Due to a work meeting Khanh had, we traveled separately to Vietnam and I arrived a couple days before her. Khanh had had friends visit her in Laos before so I already knew fun local people to keep me company and graciously show me around before she arrived. My hotel the first night ended up being a total bomb. I didn’t want to be that traveler, but it bothered me so much I had to move to a new place. It smelled so rank I had a hard time falling asleep, there was mold on the walls, electrical sockets were half intact, the sheets were damp and musty (and so were the replacement sheets I requested). I eventually managed to fall asleep, but did so wondering if the whole city smelled like the hotel room or if the room was just exceptionally smelly. My mission for the first day was to meet up for breakfast with Mai Lan (she’d spent a few months in LP before and was like an unofficial roommate), find a Western Union to wire money home, go to the fabric market, and find a new hotel. 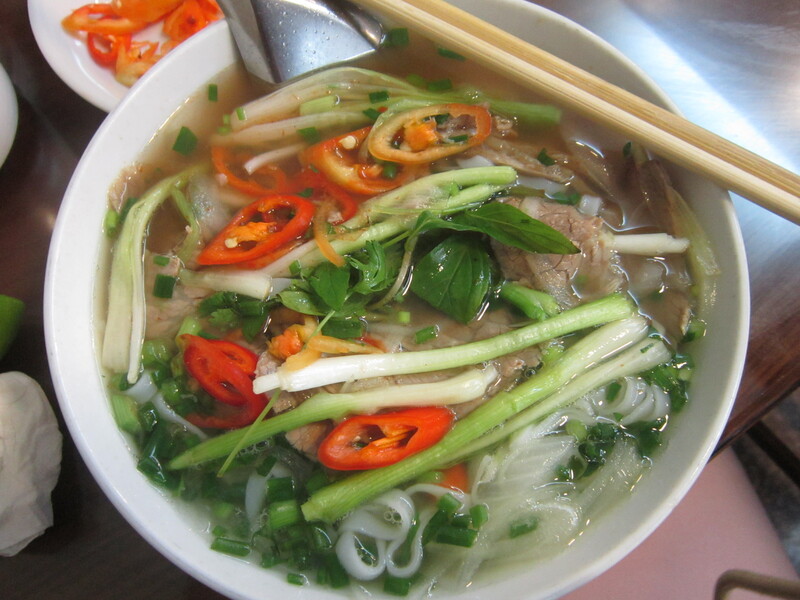 With breakfast, I got my first taste of real Vietnamese pho. It was perfect noodle soup weather, a bit drizzly and overcast. To be honest, I found it a little strange to eat noodles for breakfast. As a noodlevore, I could eat noodles for lunch and dinner everyday for the rest of my life and be quite happy, AND I can even eat things like pizza and ice cream for breakfast. But noodles for breakfast? Ehhh…not so much. I got used to it quickly though as there doesn’t appear to be special breakfast food in Vietnam. On second thought, why shouldn’t breakfast be another chance to eat noodles? 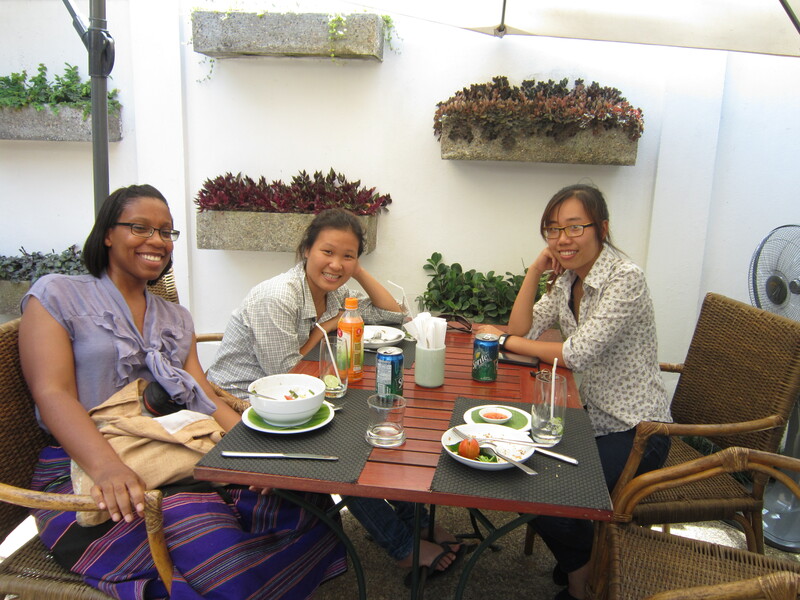 Lunch with Mai Lan and Khanh in Luang Prabang. It was lovely catching up with Mai Lan, who had gotten married and pregnant since I saw her last. She dropped me off at Joma Café while I waited for my next appointment. To the fabric markets! 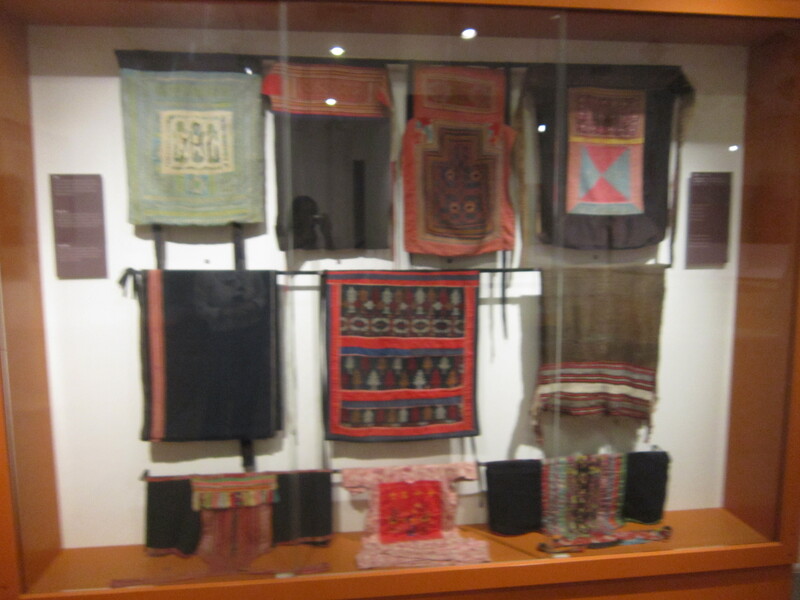 When I travel, I always like to have a textile fund: money I put aside for fabric. In Indonesia, I bought batik. In Cambodia, I bought a sarong and some scarves. I had been planning for months what I was going to have made on this trip. I was going to have a field day in the fabric markets of Hanoi. 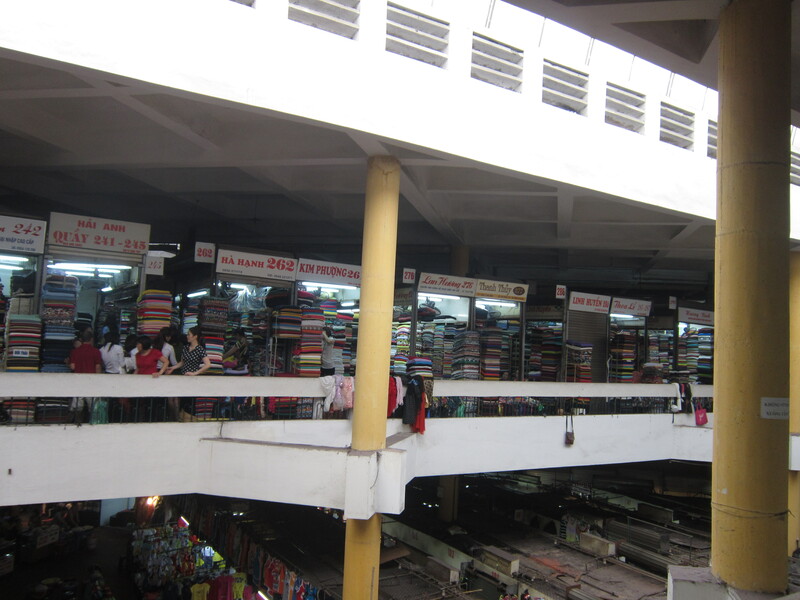 The fabric market was just as overwhelming as I’d hoped—stall after stall of fabrics stacked from floor to ceiling. 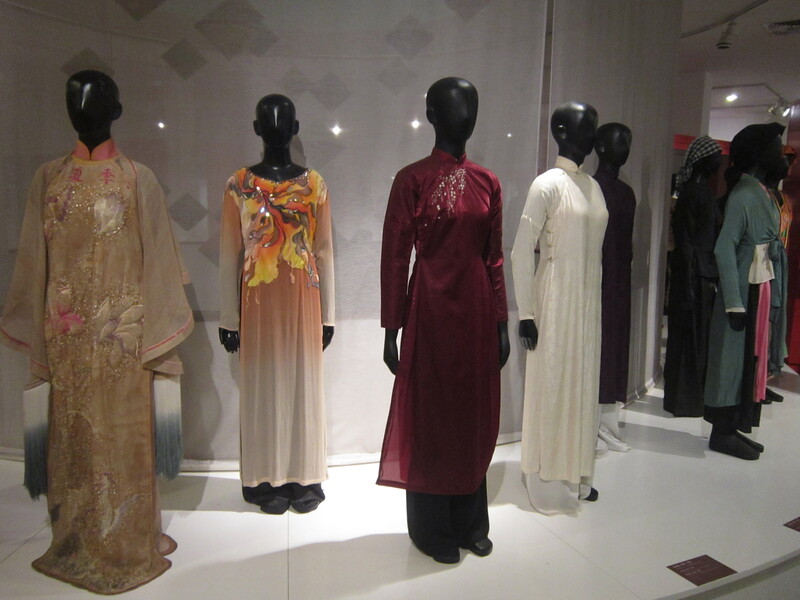 As I browsed, my mind flitted about swapping my original plans for ones inspired by the beauties before me. I picked out three fabrics (and had brought some Thai silk with me from Laos) and after lunch and dessert, another friend, Danny, came to take me to Khanh’s go to tailor’s. Hanoi traffic is insane. Whatever you’re imagining, it’s orders of magnitude more frenetic and dizzying. In all my travels, I’ve never seen anything like it. I loved the chaos and could sense an efficiency to the madness. 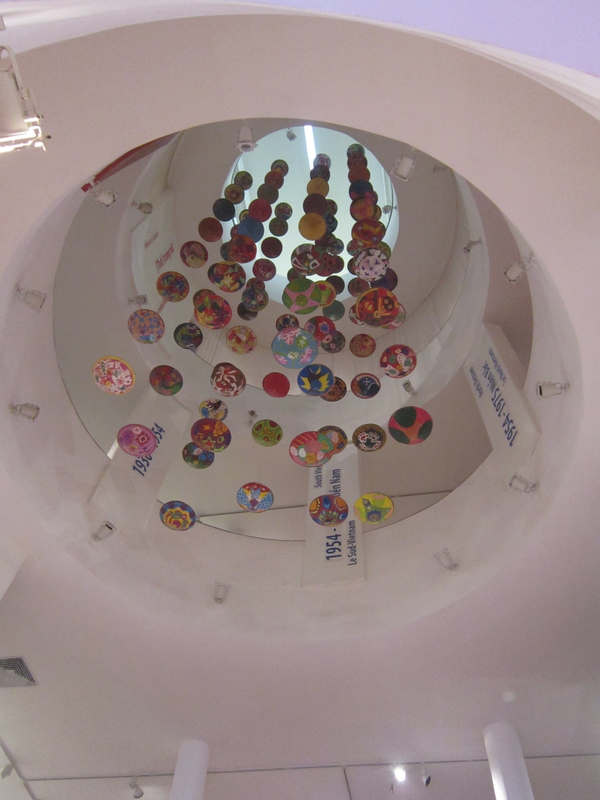 It was exciting and at times impressive (seriously, I clapped for some of the stuff I saw it was so remarkable). But, of course, I wasn’t the one driving. I was also very impressed by the number and variety of helmets worn. Many were very cute and gave off a Korean vibe. I wondered how many were for fashion and how likely some would be to actually protect your skull in an accident. 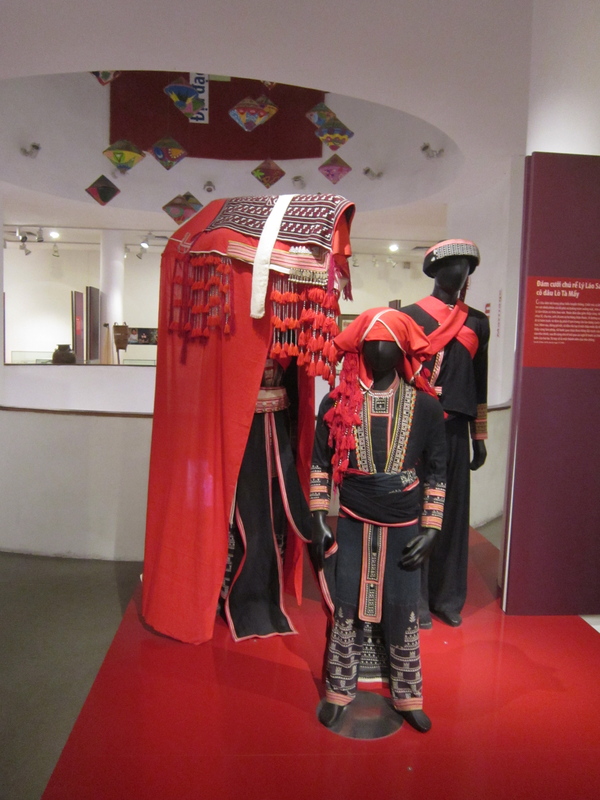 Later I found out that many were just flimsy fashion accessories and that they had in fact been inspired by a Korean aesthetic. So off we go, my friend and I, to the tailor’s— zipping between other motorbikes, honking, avoiding accidents and such, like we’re on an ultimate driving obstacle course, and we miss our turn. Danny said we’d have to turn around. Initially, I thought she would make a U-Turn and head back in the other direction on the opposite side of the street, then turn back around and catch our turn off. But, no, she drove back into oncoming traffic for several blocks on the same side of the street, oncoming motorbikes be damned! It was exhilarating to say the least, and when she asked if I was scared to be riding against traffic like that, I told her that I trusted her, which was totally true, until her admission that it was her first time doing it. We made it in one piece to the tailors and the neighborhood consisted of concrete homes so tightly packed next to each other that you could only fit one motorbike between them. Ms. Hoa was very thorough in taking my measurements and I showed her pictures of what I wanted made. 3 dresses and 1 skirt. I only had one week though, so it’d have to be fast. She said she could do it and it’d only cost $50 for everything. After that we went out for dinner. I love the spring rolls you assemble yourself! The second day was more relaxed. We went out for breakfast then found a Western Union (I had spent a few hours the day before wandering around town on foot being erroneously redirected several times searching for one with no luck). 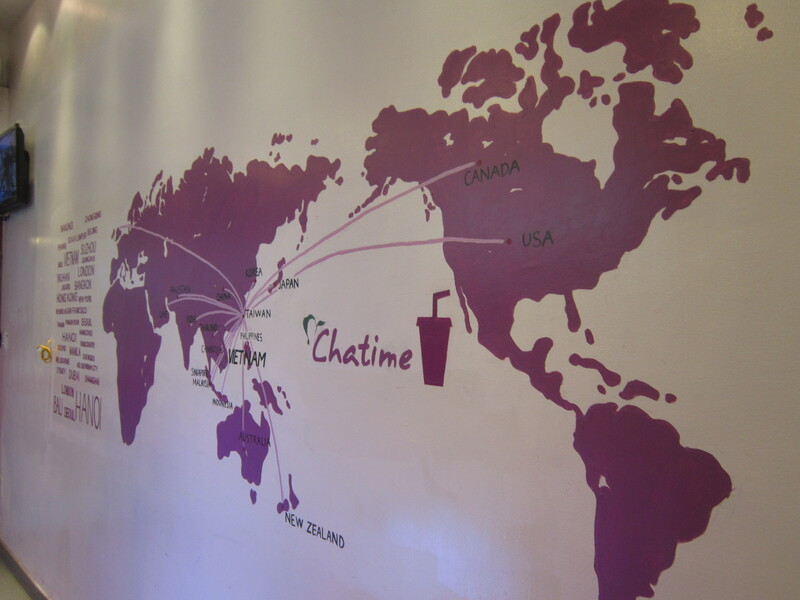 After wiring the money, we sat and drank bubble tea in this cute place called Chatime. 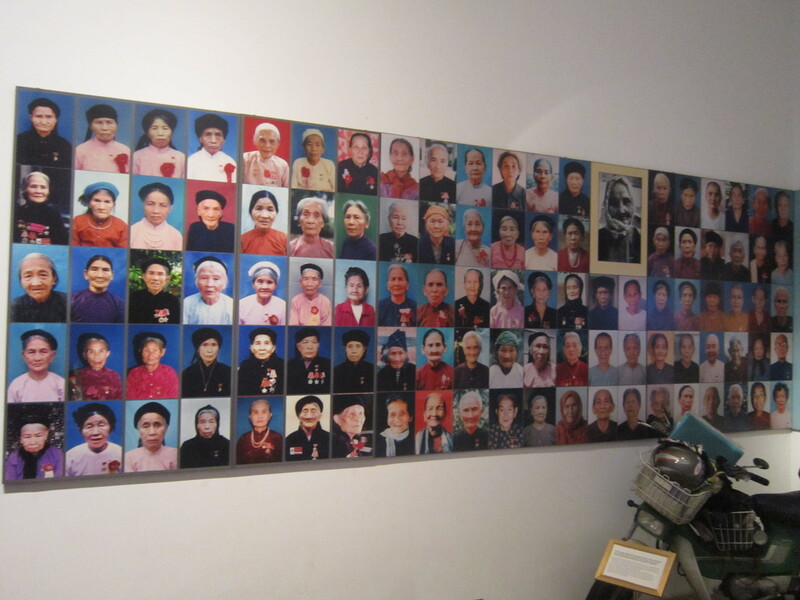 I also got to learn about why Vietnamese hate the Chinese so much. The heat of that animosity was eerily reminiscent of Chinese sentiment towards Japan. 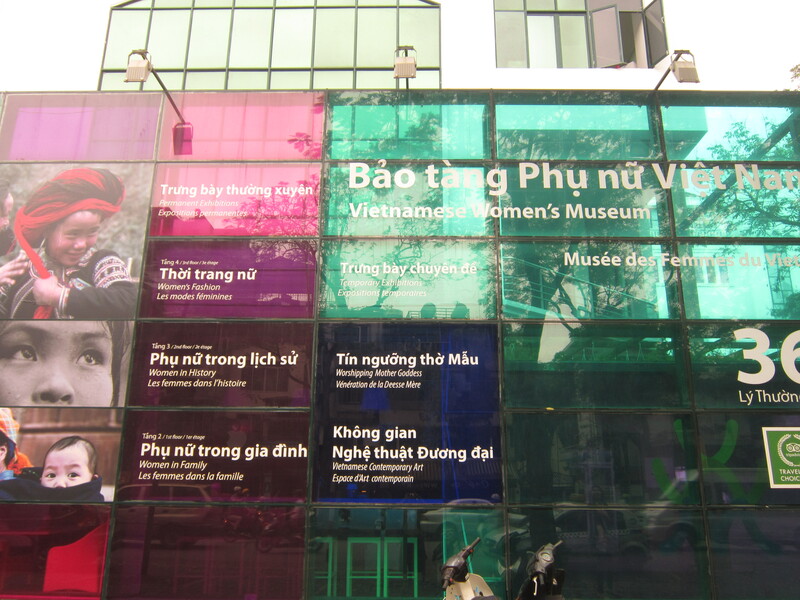 The Vietnam Women’s Museum was on the top of my list of things I couldn’t leave town without seeing. I know someone who works there, a co-panelist from the conference I spoke at in Korea in 2012. I let her know I was visiting and asked if we could meet. She had a funeral to attend, but connected us with her colleague who met us at the entrance, got us in for free, and gave us a tour of the whole thing! 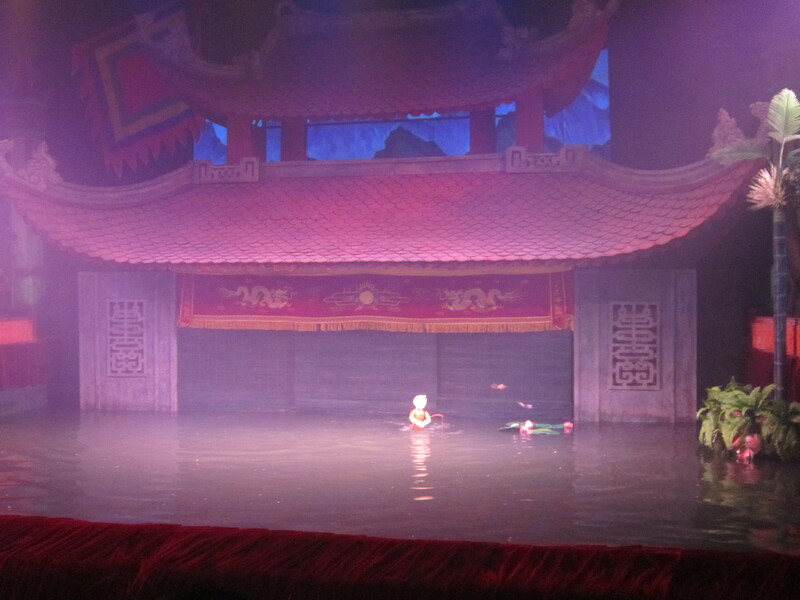 In the afternoon we went to a water puppet performance. Danny accompanied me to this as well and helped explain what was going on. The two most interesting things to come out of this were the dan bau and Vietnamese unicorns. That’s not to say the water puppets themselves weren’t cool. Off to the left of the stage was the “pit orchestra.” Almost as soon as they started playing something fascinating caught my attention. First, there appeared to be a woman playing the air, and second I heard an unfamiliar sound. My first semester of graduate school I took a course called the Musics of Asia. 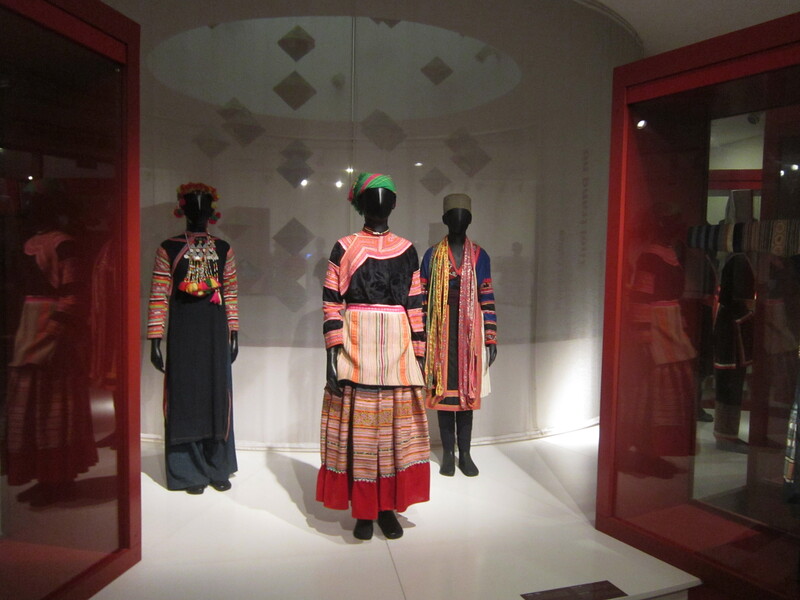 It covered a broad range of traditional music from Turkey to Korea and Mongolia to Indonesia. I did very well in the course and came away with a good grasp of the musical traditions of the region. I took a similar course as an undergrad, though that one was more global in scope. 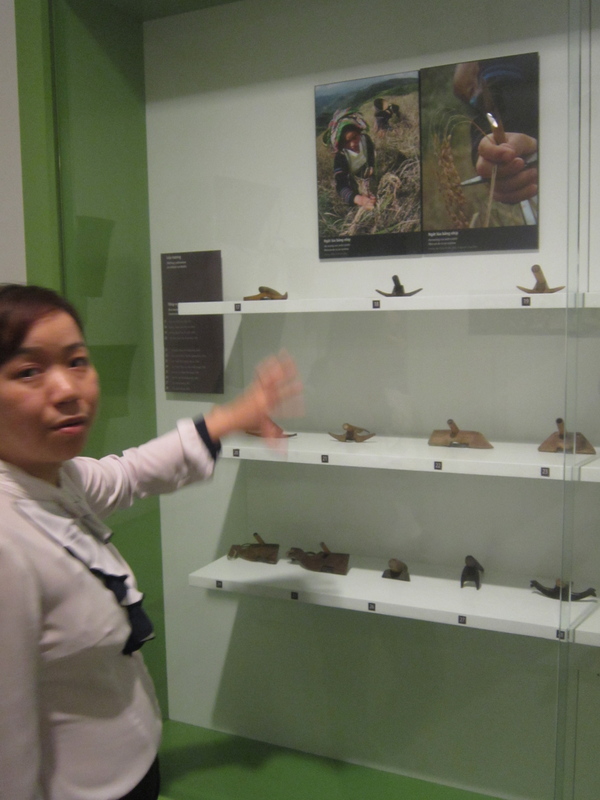 So, for me to hear an instrument in Asia that I didn’t recognize either by sight or by sound was highly unusual. Danny told me it was the dan bau and my attention stayed pretty much fixated on it for the rest of the performance. 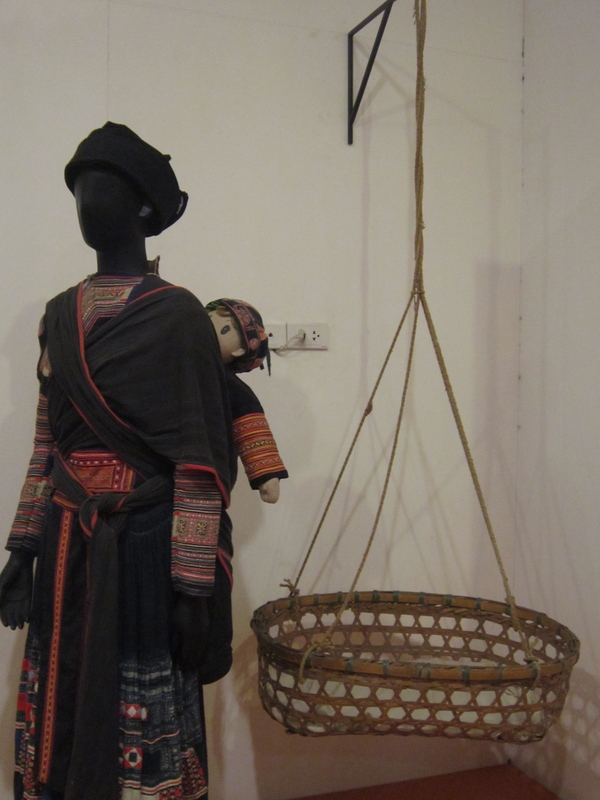 After the performance, they were selling puppets in the lobby, but I wanted to buy a dan bau. Danny got directions to a nearby instrument shop and we went for a look. 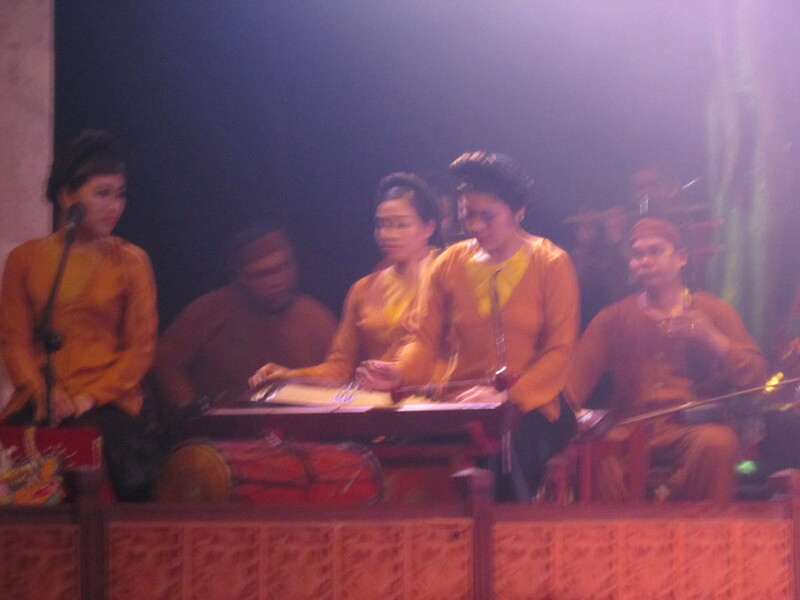 The dan bau is a monochord, but more interestingly, it’s indigenous to Vietnam. That’s rare. 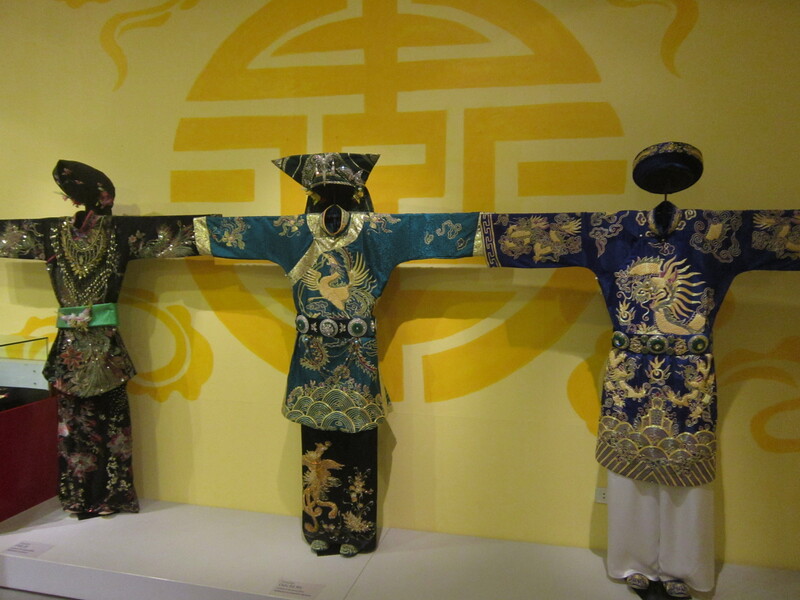 Most instruments in countries under the Chinese cultural sphere of influence came from China and were modified (i.e. guzheng/koto/gayageum). So, I did what I had to do. I bought one. It was $45. I checked eBay and other online merchant prices and it was much less to buy it there. It folded and could fit in my suitcase. I even took a few days to think about it and came back later to get it. The last six months I lived in China I took lessons on a traditional Chinese instrument, which I also purchased. It, however, was the size of a surfboard, cost $200, and I had to pay overweight, oversized, and extra baggage fees for it to get it back to the US. Buying the dan bau was a no brainer. It’s a really interesting instrument. The Vietnamese also have a mythical creature that showed up in the puppet show that they call a unicorn (the Vietnamese is Kỳ Lân), despite it not resembling a unicorn. 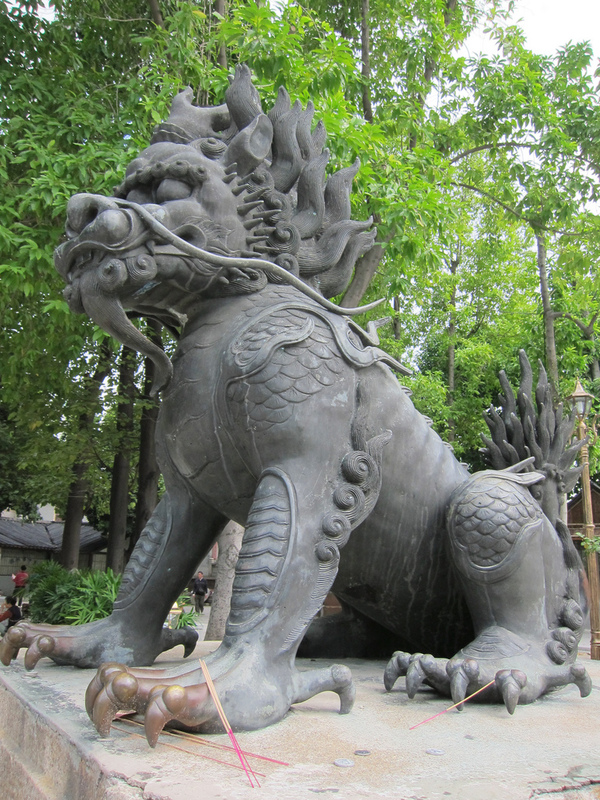 Similar to the Chinese four holy beasts, Vietnam also has four significant mythological creatures: the dragon, the unicorn, the turtle, and the phoenix. I don’t know. It doesn’t look like a unicorn to me. But then again, I’ve never actually seen a unicorn so what do I know? Also, perhaps I’m the last to make this connection, but this creature is known as kirin in Japanese, which is where the beer Kirin gets its name. 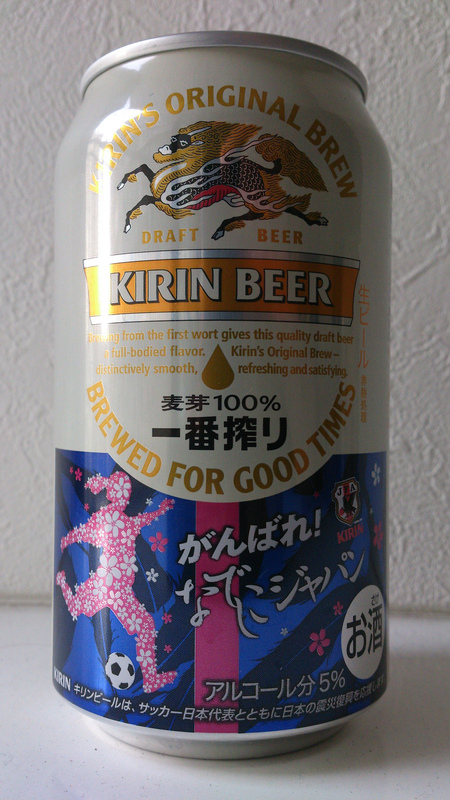 Check out the stylized kirin directly above the brand name. Image courtesy of David Pursehouse. 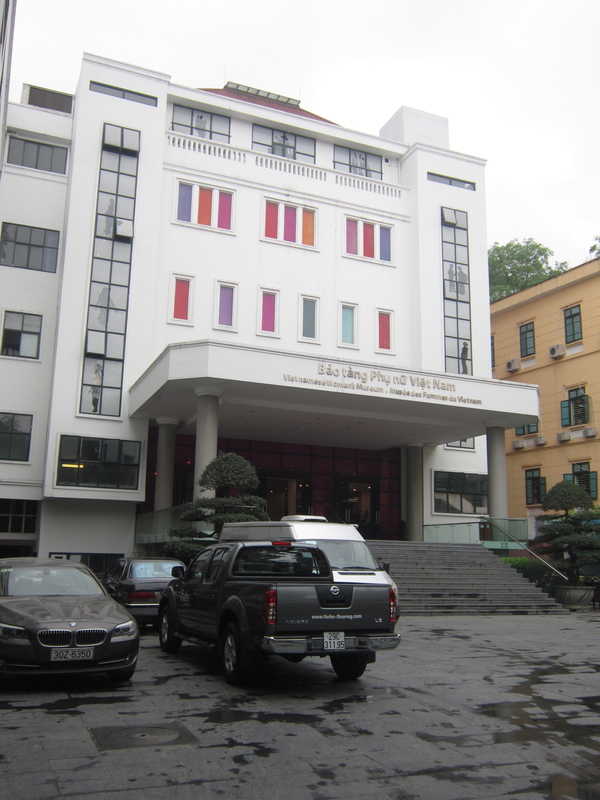 Next up: Halong Bay, a rain filled trip to Khanh’s home village, in town excursions, the cheapest eye appointment ever, good food, and new clothes!